Barnaby Joyce should be afraid. The Nationals profess they’ll hold New England, and Joyce is the favourite. But Tony Windsor is likely to drive Joyce mad and in these days of voter disillusionment, anything can happen. There will be two riveting contests involving independents at the fast-approaching election – Windsor’s bid to grab back his old NSW seat and MP Cathy McGowan’s fight to hold Indi, in Victoria, against the attempt by former occupant Liberal Sophie Mirabella to regain it. Both Windsor and McGowan invoke “people power” and localism, and tap into the disenchantment many people feel with major parties. If McGowan was defeated in Indi, the biggest story would be that Mirabella, who lost the seat in 2013 because she’d neglected it and alienated many people, had made a comeback. If Joyce were defeated, there would be a huge fallout, with the Nationals searching a thin field for a new leader who, assuming the Turnbull government was re-elected, would become deputy prime minister. The New England contest will be about many things, but in particular it will test how Joyce handles extreme pressure. Windsor – he of the beaming smile and killer instinct – will mess with Joyce’s susceptible mind. Windsor plays the man and he plays rough. Joyce has always been a favourite target, described as one of the “Abbott crazies”, an “idiot”, a “vandal” and much else. Windsor gets away with personal attacks where others would not. Joyce is a volatile character; he has proved himself resilient but he’s easily agitated. Keeping his cool in the face of relentless Windsor strikes will stretch his discipline. The Windsor assault could not have come at a worse time. 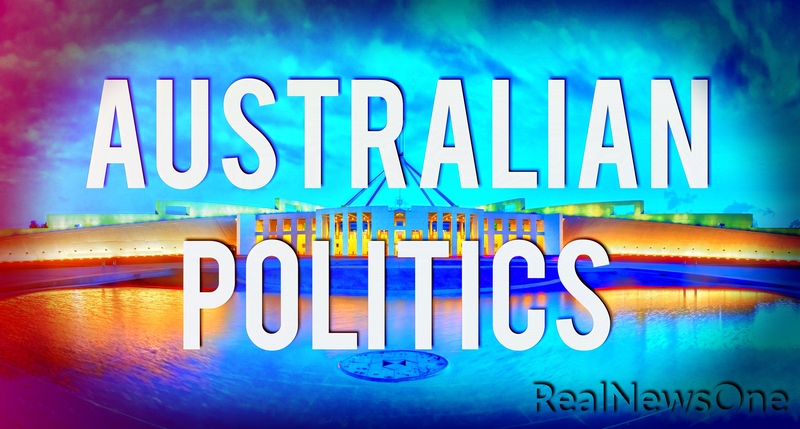 Joyce has just stepped up to two positions – the Nationals leadership and the deputy prime ministership that it brings – that are both highly demanding. Now he has to meet the challenge of these roles with the debilitating distraction of having to defend his seat. He can’t cede his wider responsibility. He is an exceptional retail politician – as leader he needs to be travelling the country to support Nationals candidates. There is no-one who can take his place. But it could be dangerous for him if he doesn’t spend enough time in his home base. Striking the balance will be a fine judgement. At his Thursday Canberra news conference announcing his run, Windsor showed his skill at creating a political narrative. He is weaving the local story into the national one on issues including the NBN, climate change and Gonski. This helps his wider profile and will encourage support – money and people – to come from outside New England to assist him. He and Joyce share opposition to the proposed Shenhua coal mine – now outside the electorate following the redistribution – but Windsor does not accept Joyce’s good faith. He accuses him of “sham opposition” and being complicit in the neglect of some of the processes that could have been put in place to examine the proposal. Some New England voters may relish the chance to give the government a kick, especially if they think it is home and hosed. Others might harbour resentment about Windsor joining forces with the Gillard government. Interestingly, he indicates that in the highly unlikely situation he was a balance of power player again, he’d probably hang loose rather than enter an agreement. Windsor told his news conference he liked Malcolm Turnbull. “But he’s got to start and do something. And the reason he can’t do it, one of those reasons, is his deputy dog”. He said Joyce and his ilk, who were not prepared to embrace the future, put a handbrake on Turnbull. With July 2 now shaping up as the most favoured election date, Windsor is quite right that Turnbull has to “do something”. It’s also true Turnbull’s hands are tied on some issues by the Liberal right and his Coalition deal with the Nationals. But the government’s drift can’t be explained in those simple terms. It has much wider parentage and Turnbull himself must take the prime responsibility. “The world is going fine, as soon as we find our tax plan,” quips one government man. Meeting in Adelaide this week, ministers settled down to more work on the shrunken tax package, amid talk of bringing the budget forward by a week to May 3 to facilitate a July 2 poll, for which momentum has built even if it is not inevitable. An example of drift on another front was highlighted when Education Minister Simon Birmingham addressed a Universities Australia dinner in Canberra on Wednesday. Birmingham told his audience there would be a choice at the election “between a Turnbull government that wants to make demand-driven, equitable access to universities financially sustainable for the long term” and a Shorten opposition that “for now promises largely more of the same” with an uncertain long term that could include the recapping of places. There is a gaping hole in this presentation. Labor has produced a higher education policy. After its earlier fiasco over fee deregulation, the Coalition doesn’t yet have a replacement policy to say how it would make universities “financially sustainable for the long term”. The government is filling its policy vacuum by hyping to the max its attacks on Labor’s offerings. Turnbull described Labor’s proposed cutback of negative gearing as “an extraordinary restriction on economic freedom”. Labor, he said, was making tax policy on the run. In contrast, the snippy might say, to the government’s making it at a crawl.